Burlington residents have consistently raised concerns about over-intensification and development in our City. During the 2018 election, they made their voices heard and clearly indicated the need to review the scale and intensity of planned development, especially in the new Official Plan. As a result, I am bringing forward a motion to re-examine the policies of the Official Plan that was adopted, though not officially approved, in April of 2018, and review matters of height and density. Halton Region has also recently identified areas of non-conformity, so this motion seeks to gain the time to address those issues. Once the Region identified areas of non-conformity, that stopped the clock on approving the new Official Plan and opened the plan up for any other matters of discussion. This allows our new City Council the time to define what areas we want to study, undertake that work, consult with the community, and send back a comprehensive plan. We expect that plan to truly reflect the needs, best interests and vision of the community and its elected Council. The motion will also provide absolute clarity to staff and to the community that the City of Burlington staff are not to use the adopted 2018 plan in evaluating current/new development applications and the existing Official Plan is still in full legal force and effect. Multiple analyses by staff in assessing development applications, downtown in particular, have made it clear we do not need to over-intensify in order to meet our obligations under the Province’s Places To Grow legislation. Further, we will immediately discontinue use of the “Grow Bold” term and related branding to ensure we are absolutely clear on our direction. A timeline will be discussed at the next committee meeting. We heard from the community that there was confusion about how development was being assessed, particularly around the status of the new Official Plan that is not yet approved. This motion makes it clear that staff are not to use the new proposed Official Plan and the existing Official Plan is still in full legal force and effect. We will take the time necessary to review and make appropriate changes to the plan to reflect the concerns we heard from the community during the election and adopt a community-based vision for our city. Excellent work Marianne. I hope Council remains united on this . We the citizens realize that developers with big pockets will use every means possible to sway LPAT . We need a new air tight OP. I am very happy to see this motion in place and I applaud Marianne and the other council members for the efforts in this. My neighbourhood is in the middle of an LPAT appeal for the approved rezoning application at the end of Georgina Court. It will be interesting to see the impacts of this decision along with the Halton Region decision to remove the “Adopted Official Plan” as us (and the other appeal groups) go through the appeals process. As the Official Plan is updated for re-submission to the Region, I am really hoping that the City Wide Parking Review is also addressed! With the changes proposed in this parking review, it is helping to drive the density and parking issues that we see across our City as developers are using this as justification for reduced parking spaces so that they can squeeze more units into a development. Overall I am very happy with the direction our City is heading now with our new leadership, definitely positive change! I agree that the parking standard is a key issue that needs to be addressed. This is another place that city staff – in transportation this time – but aided and abetted by the planners, is working their own set of 2-zoning bylaw plans. one is the existing parking standard, and the other is some other draft one that has had zero public review or process and has no legal status or standing at all. They tell the developers about this lower standard, and voila, there it is in the application as an amendment. And I have seen a transportation lady at least two times speak at neighborhood meetings saying that the parking standard amendment (draft illegal standard) for a lower standard (fewer parking spots), from the existing one (in force and effect zoning plan) the developer is asking for, is okay according to their draft ideas that nobody has seen in review and process in public and at Council. These city staff people also have consultant report by the Coriolis Company that shows that the lower parking standard is needed to make the medium-high to high density buildings financially feasible, especially when redeveloping existing commercial when the financial returns of the existing commercial use are compared to the new build. That is, the lower parking standard is in fact subsidizing the economics of the higher density builds, and are the main variable in the financial feasibility of these higher density builds. Put another way, the lower parking standards are needed to enable these high and dense builds as the most important economic variable. Without these lower standards the higher buildings don’t pencil out. In fact, the Coriolis report stated that the lower density medium-rise of about 6 stories was near the economic optimum and required no parking standard lowering amendments. In addition, the 6 story build was the most economic overall because they could be built with a wooden framing on a concrete footing, for example, the Affinity on Plains Rd. So here again we have another improper staff interference with the planning process and the loss of development control, and this time, with absolutely no standing or due process to support this disruption and loss of control. So as Kevin says, this really needs to be fixed. Marianne you are doing a wonderful job!! One huge issue is, we are concerned that when Council turns down the developers requests for ridiculous heights and sizes, that they then go to LPAT. We are not convinced of this new takeover from the OMB, that they will not go the same route of their predecessor. To eliminate any problems, we have to be positioned one step stronger “legally”, as Tom has mentioned, than where we presently sit loosing the battles. The City should be the leader, and the developer should follow direction of Council!!! Thank you Marianne, your concerns are in the right direction. Councilors too who have voiced this message. I especially like the ditching of the Grow Bold term and all the related branding and frankly BS. Absolute clarity indeed is what is needed now. Staff must stop this 2-plan nonsense. This year’s long practice of theirs, starting right at the pre-application consultation stage, is what has led to the loss of development control and all the ridiculous applications that have come forward in the name of this staff practice and the precedents this has led to. I’m just not sure how they will be able to turn off the language they themselves created and programmed themselves to speak it, in the move forward to 1 OP planning. It will be necessary to keep a very close eye on them. I hope the developers trying to bust the community have ears to hear the message. They will if they care about Burlington and respect residents. But all this I doubt very much as their march to ever higher and denser with custom made standards to make things fit just seems to keep up – 17 to 18, to 24, to 26, to 29, to 30 and on and on. We need unanimity on this from Council – no excuses for opposing the Mayor’s motion to obey the Planning Act rule that the existing in force and effect OP is to be used. mandatory underground parking.and no surface parking. I’m so very happy that you are leading council for our beautiful city in trying to control and plan the future development. In the 25 years since we moved here from Toronto (to get away from traffic congestion and over development) we find ourselves in the same position. I realize we do need development and some of it has been very good and well planned; but building boxes of high rise condos with very poor design and no regard for neighbourhoods or traffic congestion must stop. We still have vacant lands that aren’t affecting existing neighbourhoods can be built into high rise condo development, let’s investigate that before we start destroying neighbourhoods putting in high rise condos especially in small neighbourhood malls. Today’ development affects the future of our city and how we want it to be 25 years from now. Thank you Mayor Meed-Ward. Hopefully this will assist for reasonable builds across Burlington. 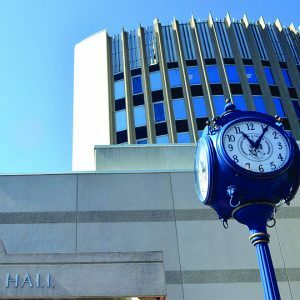 In East Burlington we currently need help advocating towards positive outcomes in Plazas (Lakeside’s February 12th, 6:30 Mtg at City Hall and Appleby Village which is already an LPAT Case). A lot of Plazas are upcoming across Burlington. Good to be listening to a mayor who listens to us. Good and proper response to citizen concerns. Thank you. I applaud the Mayor’s position. Tom’s point (above) was also brought up and much discussed at last night’s Ward 2 meeting. The weak link in the process is the step after a development proposal leaves Council. Even if staff recommends against a proposal and Council votes to turn down the proposal, the developer will still go to LPAT. The developers fully expect this and this is part of their strategy. It is at LPAT (and previously the OMB) where the developers win and Burlington loses. This very serious deficiency must be visibly addressed by Council ASAP otherwise we will continue to be awash in over-intensive developments. Our legal department has a dismal record and I have little faith in their current ability to properly defend the City. Like most other residents and emphasized last evening at Lisa’s Mtg the City of Burlington must start using Bay Street lawyers like the developers and win something. All everyone hears about is the next monstrosity going in. The Waterfront Starco property no one would be surprised that 30 + stories will be proposed. We all want limits that are spealt out as being the only acceptable proposals. No others.